This blog has been a long time in the making, I guess I just didn’t realize it. I had spent so much time trying to revamp my old blog when really what I needed to do was just start over, completely. You will notice a few older posts, those are the only ones I have imported from my old blog, they are some of the most personal and meaningful things I’ve ever written, they are the letters to my daughter, Sylvia. This space is not meant to be something that will make me rich and famous, or even liked for that matter. This is meant to be an outlet for me to share the books I’m reading, the things happening in my life, my views on — wait for it — politics or even religion. Sometimes I will want to have those hard conversations, and this is where I will do it. You will notice a category called “Book Reviews”. This, for all intents and purposes, is a place for an average, not very articulate, person to share her thoughts on what she’s read. Please don’t expect tons of witty commentary or to learn new vocabulary while reading these. While of course I will make an honest effort to impress you, chances are you’ll just end up with a simple review of the random things I deem worth reading. I am truly looking forward to using this blog as a place to share my thoughts and connect with new people. I hope you will leave me a comment and say hello, or at the very least have a smile on your face if you’ve actually read all the way through this post. Curious about me and the name of this blog? Check out my about page for the details. Hey Barb, thank you! Hopefully I’ll actually write here instead of just redesigning it lol. Thank you! 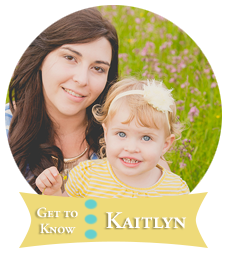 I used Photoshop to design my logo and then I created a wordpress child theme to modify some of the theme’s colors.